WASHINGTON, DC, August 6, 2018 (ENS) – The Trump administration’s U.S. 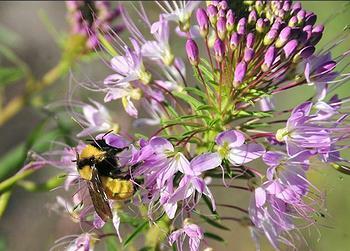 Fish and Wildlife Service is reversing a 2014 ban on the use of bee-killing neonicotinoid pesticides and genetically modified crops that trigger greater pesticide use across the national wildlife refuge system. Saying that these steps are necessary because, “Normal human expansion in our nation will continue to eliminate wildlife habitats that have previously been relied upon for successful wildlife restoration,” the Service’s Principal Deputy-Director Gregory Sheehan said that without these measures birds and other wildlife cannot meet their needs for food as private farmland is lost. The decision, made public August 2, comes a day after the California’s Department of Pesticide Regulation released a new analysis finding that four widely used “neonic” pesticides can cause much broader harm than previously thought to pollinators commonly found on many vegetables, fruits and grains, including crops like corn and sorghum that are frequently grown in wildlife refuges. The National Wildlife Refuge Service will now decide when and where to apply neonic pesticides and plant genetically modified crops on a “case-by-case basis,” said Sheehan. “Agricultural pesticides, especially bee-killing neonics, have no place on our national wildlife refuges,” said Hannah Connor, a senior attorney at the Center for Biological Diversity, who this year authored a report documenting the annual use of nearly half a million pounds of toxic pesticides on America’s wildlife refuges. Informed by the growing body of scientific research showing the broad harm neonicotinoids pose to bees and other pollinators, earlier this year the European Union banned neonics for outdoor uses in agriculture. Europe’s decision came after Canada’s pesticide regulatory agency recommended banning imidacloprid, the most widely used neonicotinoid, based on demonstrated harms to aquatic ecosystems. One of the most important findings of the new California neonic analysis is the discovery of the high risk to bees posed by use of two neonicotinoids, thiamethoxam and clothianidin, on cereal grains like corn, wheat, rice and sorghum. Most genetically altered crops are designed to make them resistant to herbicides like glyphosate and dicamba, which in turn allows farmers to increase their use of these pesticides in summer when many animals are out foraging. 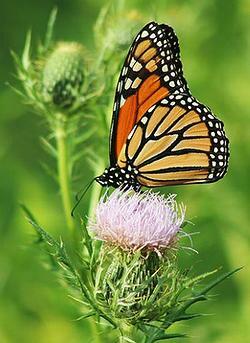 It’s been well-documented that use of the pesticide glyphosate on crops genetically altered to resist it has played a role in the 80 percent decline of monarch butterflies over the past two decades because it kills milkweed, the only food of the monarch caterpillar. But Connor said that because over-use of glyphosate, the active ingredient in the pesticide Roundup, has fueled the growth of glyphosate-resistant superweeds across millions of U.S. acres, Monsanto developed seeds that are now resistant to both glyphosate and dicamba, a drift-prone pesticide that, as described in a recent analysis by the Center for Biological Diversity, may be even more harmful to monarchs than glyphosate. In 2015, the World Health Organization classified glyphosate as a probable human carcinogen. Now hundreds of cancer victims and their families are suing Monsanto, the originator of glyphosate, for not informing them of the cancer risk. Still, other citizens’ groups support the reversal of this ban. 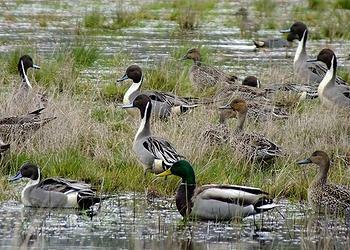 “Ducks Unlimited and the NWTF advocate for science-based decision making,” said Ducks Unlimited CEO Dale Hall. He points out that to safeguard against the use of any chemicals dangerous to wildlife, refuges are required to submit a pesticide use proposal for approval by contaminant specialists in the USFWS.